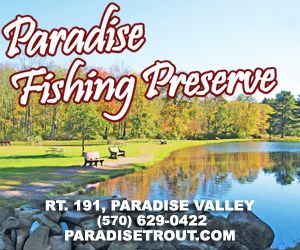 Rolling hills, waterfalls, rivers, lakes and evergreen forests; the Pocono Mountains offers 2,400 square miles of astonishing natural beauty. 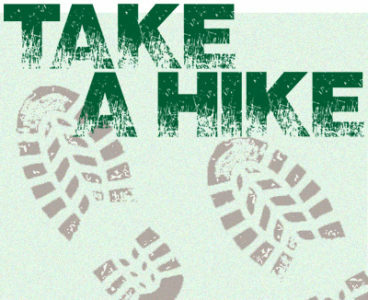 Embracing the opportunity to introduce (and re-introduce) the great outdoors, let’s lend a hand encouraging everyone to GO TAKE A HIKE sharing trail maps from a collection of spectacular spots. 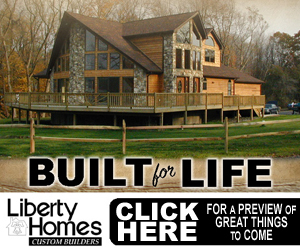 BUSHKILL FALLS – Re-Opens SPRING 2019! TAKE ME THERE Exit 309 off Interstate 80 to Route 209 South then Right at the Light onto Bushkill Falls Road EXQUISITE SCENERY EVERYWHERE Christened “The Niagara of Pennsylvania”—witness one of the most beautiful and dramatic natural sights in the Pocono Mountains as this hiking hotspot obliges with eight superlative waterfalls cascading over primeval rocks and slate walls. EXQUISITE SCENERY EVERYWHERE Offering an invigorating exploration—checkout Boulder Field at this popular state park in Carbon County! A National Natural Landmark and true scenic wonder, this field of astounding stone is actually remains of the last ice advance. 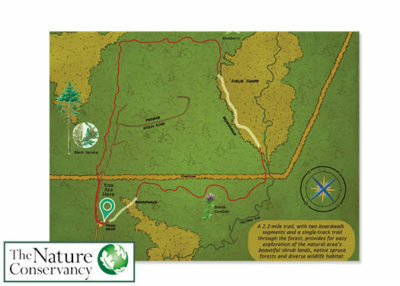 Easily accessible in Hickory Run off the scenic 3.5 mile Boulder Field hiking trail. TAKE ME THERE Exit 20 off Interstate 84 to Route 507 North then left onto Ledgedale turn right toward Hawley & right onto St Mary Church Road for .2 miles then right onto Lacawac Road. 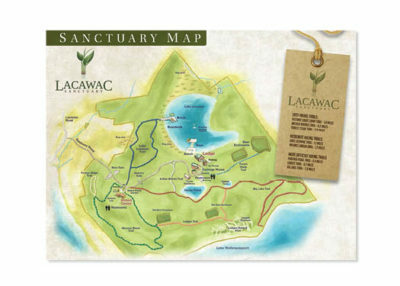 EXQUISITE SCENERY EVERYWHERE Enjoy hiking trails, bogs & more within 545 sprawling acres that includes the near pristine glacial Lake Lacawac & its watershed. EXQUISITE SCENERY EVERYWHERE Nearly 3,000 acres on the Pocono Plateau at 1,800 feet above sea level delivers peak performance for endurance. 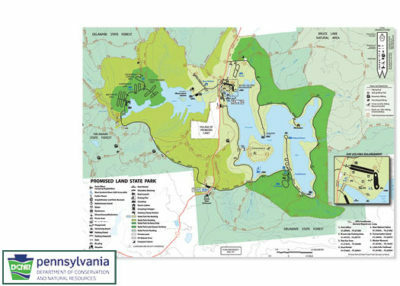 Surround yourself with over 12,400 acres of Pennsylvania’s Delaware State Forest and natural areas. 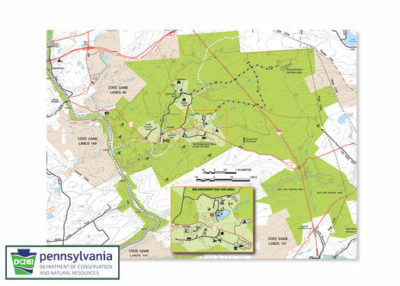 EXQUISITE SCENERY EVERYWHERE Emerging from underground springs and seeps, Two-Mile Run feeds into Tobyhanna Creek, and eventually feeds the Lehigh River. Along the way, it traverses the 2,500-acre Thomas Darling Preserve at Two-Mile Run, a place where visitors can witness an extensive mosaic of glacial wetlands via a two-mile trail and boardwalk system. 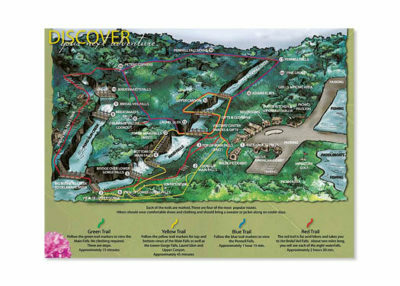 Make Plans to Repeat the Feat Saving these Trail Maps Then Revisit these Fabulous Destinations throughout the Spring!